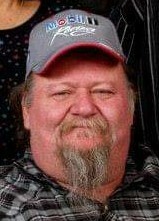 Billy Lee Garlington Jr., 56, of Kirtland, New Mexico passed away April 11, 2019. Billy was born April 27, 1962 in Salinas, California. Billy was a Veteran in the Army, he served in Korea. Billy “Jr” loved fast cars, fishing, working on cars and spending time with his kids. He loved teasing people, his favorites to tease were Matt and Anthony. He will be missed by all of us. A special thanks to Agie for being a part of our family and helping during this time. We will always remember Billy’s laughter and joking manners and keep the good memories in our hearts. Billy is preceded in death by father Billy Garlington Sr., sister; Jackie and grandparents; Christina Bible, Frank Garlington and Mr & Mrs Heaney. He is survived by his ex-wife Suk Garlington, mother; Jody Heaney Sheppard, step-mom; Jeannie Garlington, son; Billy Garlington III “J.J.”, daughters; Tina Joyner and Lisa Markey, sister; Patricia Mardi and grandchildren; Noah E. Garlington, Tristan S. Garlington, Alexis & Evan Joyner and McKenzie Markey, niece; Brandi and others and nephew; Paul , Shane and others.